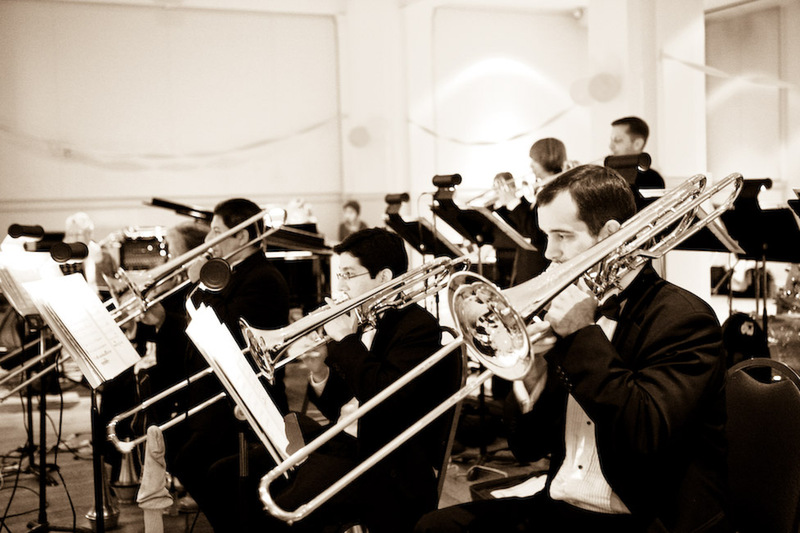 The Empire Swing Orchestra is proud to be performing some of the greatest music of the twentieth century from Glenn Miller's "In the Mood" to the classics of Frank Sinatra. Please take a look at our upcoming public events, browse our photo gallery, or just drop us a line to say "hello". 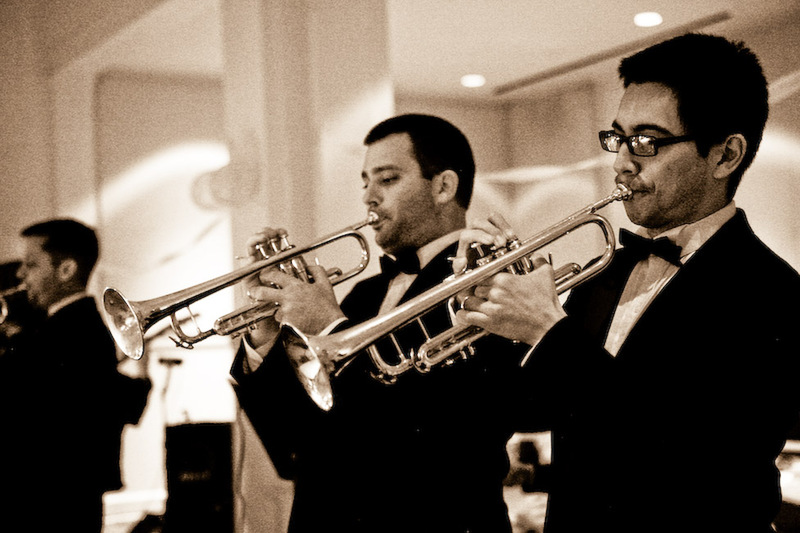 The Empire Swing Orchestra is an 18 piece swing band consisting of local professionals with a love for the jazz classics of the swing era. 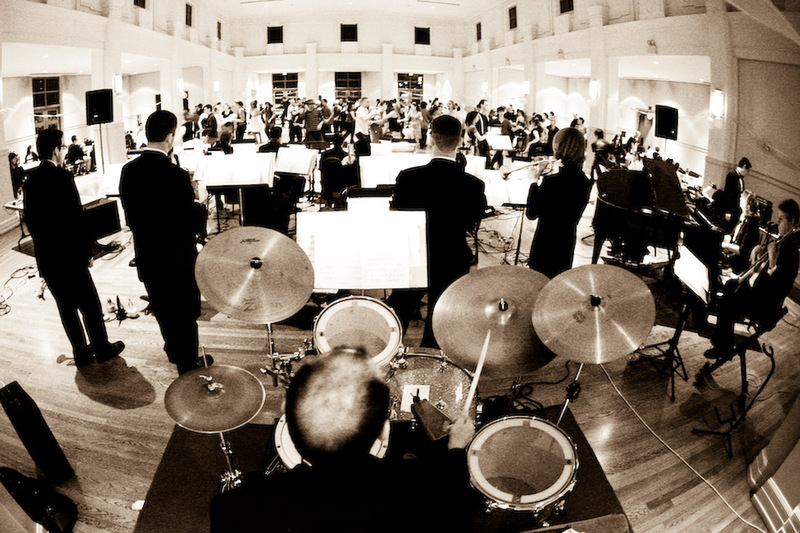 Comprised of musicians from the Riverside area, the Empire Swing Orchestra is a non-profit organization that encourages and actively promotes the highest standards of creativity, performance, and education in music in the community. Further purposes are to provide charitable contributions to our local arts programs, to instill in all people an awareness of music's important role in the enrichment of the human spirit, and to foster a fellowship between all musicians. 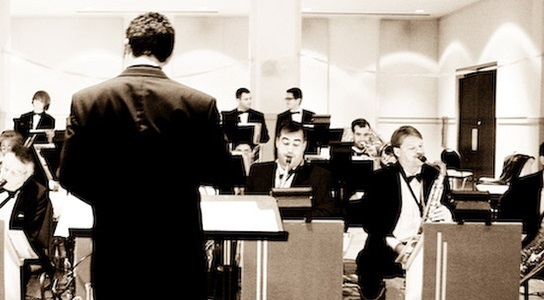 The Empire Swing Orchestra mainly performs the swing classics from the 20's to the 50's but is also comfortable adding complementary tunes to the musical routine. Most recently the bride pre-requested for a special "surprise" song to sing to her husband. We specially ordered the piece, rehearsed, and performed "Can't take my eyes off of you" while the bride serenaded her husband to the cheers of her guests. 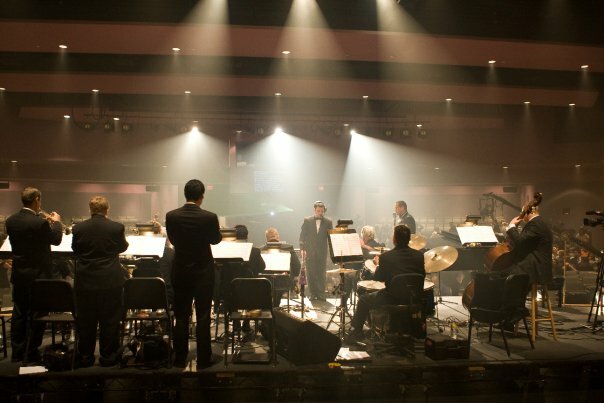 Our music library covers 8,230 classic "big band" songs with 200 songs readily on-hand to perform at a minutes notice. You guys are so awesome to work with! Spenser & Orchestra, Thank you for the awesome music and the professional manner that you performed. You were the 'hit' of the evening! Thank you for making my mom's party fabulous! The orchestra was wonderful. I had lots of comments from people, asking me where I got the band! One person said that, as she was coming in from the parking lot, she thought we had a DJ playing CD's...you sounded that good! I was so impressed with the orchestra. My mom danced up a storm and smiled the whole time. Thanks for all your help. You guys were the greatest! Thank YOU all for playing last night! It was really really really wonderful. There's nothing quite like dancing to a live band and I have received rave reviews from people already who cannot wait until the next event!